The question of Tehran’s status as nuclear power is a genuine matter of concern for international policymakers, but they have become far too accustomed to treating it as a perpetual hypothetical. The assumption has always been that Iran would never get a nuclear weapon, because the West would have enough advance warning to prevent that from happening, whether by means of diplomacy or force. Unfortunately, the time for hypotheticals has passed. Given the latest advances in Iran’s enrichment program, and the weaknesses of the international community’s existing monitoring, we must reckon with the fact that we likely won’t have time to preempt Tehran’s efforts to build a nuclear bomb. The international community has no choice but to already treat the Islamic Republic as a de facto nuclear state. 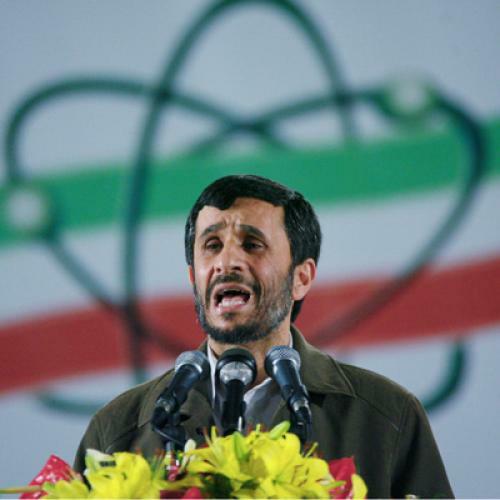 Last Friday the IAEA confirmed that Iran had begun moving some of the centrifuges it uses to enrich uranium from its nuclear facility near the town of Natanz to a formerly clandestine underground site near Qom. This move is designed to facilitate Iran’s plans to accelerate its production of medium enriched uranium, a substance that would be then relatively easy to convert to highly enriched uranium (HEU), the type that would be needed for a nuclear weapon. Indeed, it’s indisputable that Iran already has sufficient infrastructure in place to make HEU. Iran would not even need to expand the centrifuge enrichment facilities it has used to make low and medium enriched uranium. It could simply continue the process and produce HEU using its existing centrifuges by a method known as “batch recycling”. Given Iran’s current enrichment capacity and its current stockpile of low and medium enriched uranium—information acquired through inspections by the International Atomic Energy Agency (IAEA)—I estimate that Iran can produce enough HEU for a nuclear weapon in about eight weeks from the time it decided to do so. That timeframe will shrink to only about four weeks by the end of next year, as Iran’s enriched uranium stockpiles and enrichment capacity continue to increase. And there are plenty of indications that Iran has a desire to produce a complete nuclear weapon. As the IAEA has already explained, Iran has the basic information to produce such a weapon and last Friday said that it was “increasingly concerned” about Iran’s efforts to develop nuclear weapons. It’s important to note that we can not reliably depend on the IAEA to warn us of Iran’s progress toward a nuclear weapon. As much as the IAEA claims that its safeguards are intended to provide “timely detection of the diversion” of nuclear material sufficient to produce a nuclear weapon, they are not designed with nearly enough immediacy given the current state of nuclear enrichment science. HEU can now easily be converted into a nuclear weapon within a week’s time—a period that renders IAEA safeguards entirely toothless, as it’s hardly enough for “timely” warning to be delivered and effective measures to be developed to prevent a bomb’s manufacture. Unfortunately, the IAEA has been reluctant to admit that its unable to effectively monitor Iran’s advancing capabilities. Iran does not yet have HEU, but it has been steadily reducing the time needed for it to produce the HEU required for a nuclear weapon by increasing the size of its low and medium enriched uranium stockpiles and enlarging its enrichment capacity—all while remaining within IAEA safeguards. Even if a violation of those safeguards did occur, it would take many weeks until international agencies can deliver a final determination on the matter. Thus, if the time required for Iran to produce HEU shrinks to about four weeks by the end of next year, as now seems inevitable, it’s clear that timely detection by the IAEA will basically be impossible. That’s not to say that I expect Iran to divert nuclear material from IAEA safeguards anytime soon. After all, why should it? It can continue to move ever closer to the HEU required for a nuclear weapon with the blessing of the IAEA. Iran would only need to divert nuclear material from safeguards when it would want to test or use a nuclear weapon. Recall that the U.S. was unable to certify that Pakistan did not have nuclear weapons in 1990, but it was only in 1998 that it actually tested a bomb. Similarly, though it could be many years before Iran becomes an overt nuclear power, it needs to be treated as a de facto nuclear power simply by virtue of being so close to having a weapon. Unfortunately, most analysts have yet to face up to this hard reality. Some naively believe that Iran’s nuclear program is solely for peaceful purposes, ignoring that Iran has already violated IAEA safeguards by conducting clandestine uranium enrichment, has a parallel program to produce plutonium, and that it has no plausible civilian use for all of the enriched uranium it is producing. Others argue that the Stuxnet computer virus has sufficiently slowed Iran’s uranium enrichment effort, even though data from IAEA inspections have shown no such slowdown but only a steady increase in Iran’s enriched uranium production. Still others take comfort that Iran’s leaders apparently have not yet specifically directed a nuclear weapon to be produced, ignoring the fact that the UK, France, India and Nazi Germany all had nuclear weapons programs before there was any specific directive to produce such a weapon. And then there are those who, remembering the highly erroneous estimates regarding Iraq’s nuclear program, believe that concerns about Iran are similarly overblown. This view fails to note the key difference between the two cases. Estimates on Iraq were based on dubious sources—such as the discredited Iraqi defector “Curveball”—whereas estimates on Iran are based on the objective data provided by IAEA inspections and measurements of the enriched uranium that has been produced. As a nonproliferation failure, it is not, of course, the first of its kind, resembling as it does the failures that allowed Pakistan and North Korea to ascend to the status of nuclear powers. But the fact that it is not unprecedented does not diminish the risks involved. As the United States’ policies towards Pakistan and North Korea illustrate, now that Iran is a de facto nuclear weapon state, there is little that can be done except to hope that these countries can maintain control over their nuclear weapons. The costs we face if something goes wrong—a nuclear detonation in cities such as Tel Aviv or New York—are horrific, even unimaginable. But one thing that’s already clear is that naïve optimism doesn’t do us any good. Greg Jones is a defense analyst and a senior researcher at The Nonproliferation Policy Education Center in Arlington, VA.